A popular player Kevin O’Brien became the first ever centurion from his nation Ireland after achieving the gallant feat in Ireland’s first ever Test match against Pakistan back in May. O’Brien had scored a match winning century against England in ICC World Cup 2011, which is arguably the biggest moment in Ireland cricket’s history. 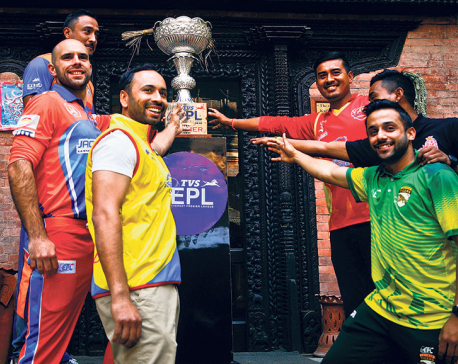 He arrived in Nepal on Wednesday with much fan fare to represent Kathmandu Kings Xi in the Everest Premier League (EPL) starting on Saturday. 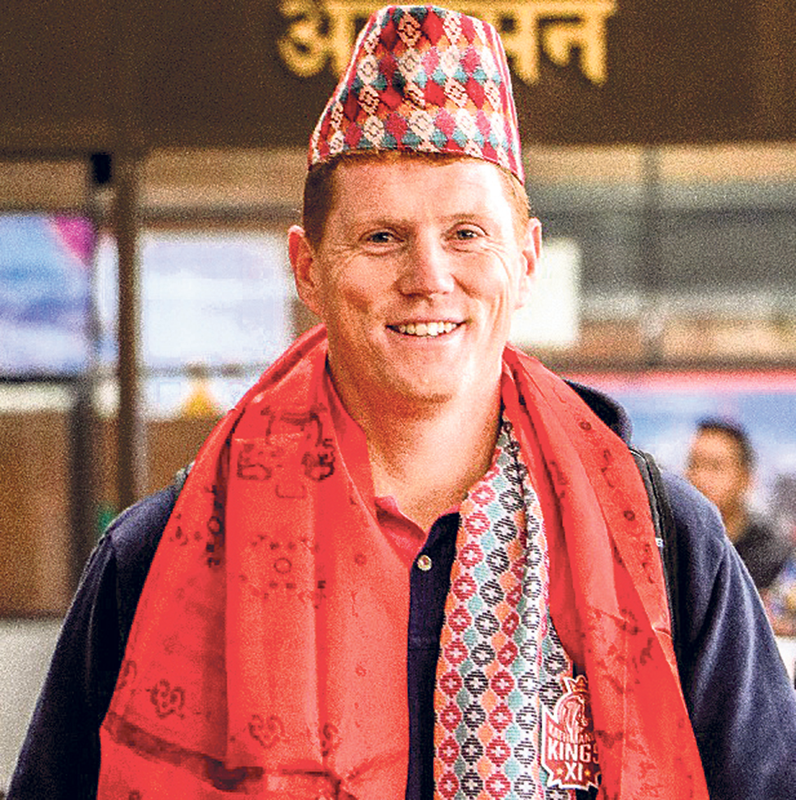 Rajan Shah and Sanjay Thapa of Republica talked to Irish international cricketer Kevin O’Brien before the much-awaited cricket event Everest Premier League (EPL) starting on Saturday. 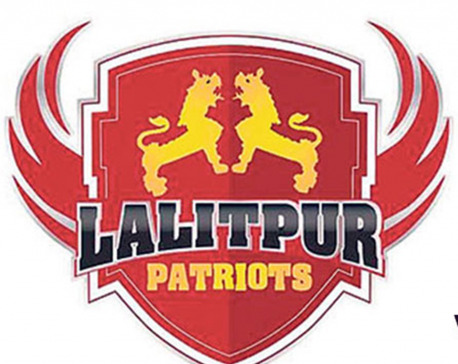 How did you get associated with Nepal’s franchise? I always knew about Nepali cricket and their passionate fans. I got this opportunity to come over here after being contacted from the franchise. So, I thought I should give this a shot, playing in the new place, new conditions, and new players, new coaches, etc something I always wanted to do. How different or similar are the conditions? It is completely different. The temperature/weather right now is very similar to our summers back home. I have been very fortunate to have played in India in last year or so. I am looking forward to matches as I believe it will be very similar to Indian pitches. The nature of the pitch is not going to be a shock for me. I expect it to be different from what I am used to back in home. It is going to about shot selections. I will try to adapt my game as much as I can. What do you make of players here? I think all the cricket players are same- be it here or back there. They all want to improve from what they were a day ago. Success is not guaranteed but the boys are training hard to put us in the most suitable position to achieve that. Everybody is ultimately fighting for a place in the national team. So the effort is extra hard here in Nepal from the domestic players. It is great to see, not only for the current franchise but the overall Nepal cricket. How does it feel to be first Test match centurion from your nation? It was cool. It was hugely proud moment for me. I am in the history books which cannot be taken away. The crowd support and the media coverage were great during the whole week. It was a great occasion to score a century and even sweeter to be the first Irish player to do so. We have next match schedule at Lord’s (cricket ground). I want to be on the honors board by the end of that match. How familiar are you with Nepali cricket currently? 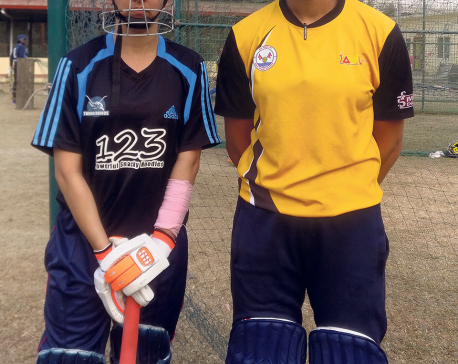 I have played a couple of matches against Nepal. Last time I played was in 2015 during the World T20 qualifier in Belfast. I have been following Nepali cricket last couple of seasons. The ODI status was a great achievement. The amount of passion among the players and supporters is here for cricket can propel them into a force in future but need to arrange matches against quality oppositions. How helpful is franchise cricket? It helps players hugely. The overseas players in each team are going to help the uncapped players in a big way. Just being around professional players for two or three weeks learning how they prepare, train and play matches is good exposure for them. Like, Canada’s league (Global T20 Canada) was a huge success and it also helped some of USA players to gain that confidence. The franchise cricket helps everyone. The media spotlight is on and it can really help the unknown players to get recognition. Hopefully, all the involved players can perform and put up a good show. What are you looking forward to most in next few weeks? Ultimately, I want to be successful. We need to do well in the group stage and go on to win the trophy. I just want to contribute as best as I can. First of all, I want to win. I haven’t won a T20 tournament in my career so far. It will be nice to start here.